It's fall! Time to go Bronde! ﻿Cooler weather is on it's way! Time to tone down those Summer locks! Your hair is probably a little stressed from our hot Florida sun, the pool, the beach, etc. so now is the pefect time to freshen it up for Fall! 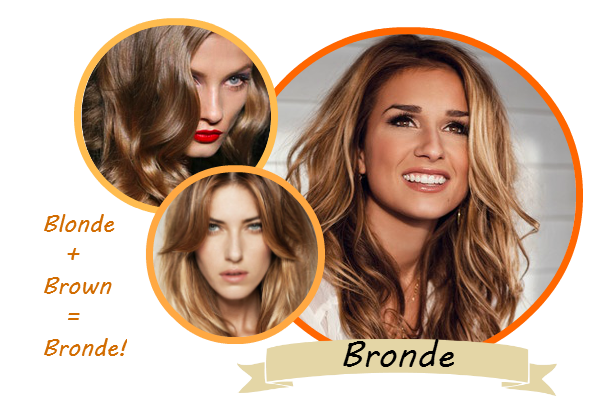 Going Bronde is a great way to transition into the cooler months. It's the perfect shade between blonde and brown and is achieved by adding subtle highlights and lowlights to give you more depth and drama! As the owner of Hidden Hills Hair Salon & Spa in Jacksonville, FL, I am often asked what service I suggest as a great gift for Birthdays, Anniversarys, Christmas and Valentine's Day. My reply "Anything spa related is always aprreciated!" We are all so busy these days and very few of us really take the time to relax and pamper ourselves, so giving a gift of time for yourself is ideal! Obviously, I am partial to a day at the spa. That's why I have come up with several different Mother's Day Packages at Hidden Hills Hair Salon & Spa. From the "My Mom Rocks" Hot Stone Massage to the "Mother Nuture" combo and the ultimate "Queen for the Day" you will be able to find the perfect package for the most important women in your life! Or another idea for a special treat is a Gift Certificate for her favorite salon or spa service! Add a few of her favorite products (shampoo, hairspray, etc) and you've created a most thoughtful gift! We'll even put it all together for you in our super cute gift bags! Don't have time to stop by? You can purchase an Instant Gift Certificate by clicking on the Red Tab on our website and immediately print or email the certificate to Mom! Trust me...She'll love it! Here's to wishing all the Moms out there (especially mine) a wonderful Mother's Day! Thanks for being so awesome! should you buy a sulfate-free shampoo? I won't bore you with the details of what a sulfate is other than a type of cheap chemical cleanser, but when it comes to shampoo the sufate is basically what creates the foamy lather. There has been a ton of studies about the health related problems associated with the use of sulfates, silcones and sodium in shampoos but that's another topic for another day! Today we are focusing on the benefits of using sulfate free products to protect natural and chemically treated hair. Less Drying: Sulfates are powerful cleaning agents and not only do they cleanse away the dirt and build-up but also strip off all the oils from your hair and scalp. Your protective layer of natural oils will remain intact and help prevent moisture loss when you use a sulfate free shampoo. Color Fade: Sulfates can fade hair color and make lowlights and highlights dull or brassy. Less Frizz:When hair is stripped of it's oils it holds less moisture and it doesn't have the protective barrier to prevent frizz. Less hair Loss: The drying effect from the sulfate can make your hair brittle and cause breakage & split ends. More shedding occurs with overly dry strands as well. Often people do not feel as if their hair is getting clean when they first start using a sulfate free shampoo because of the lack of rich lather that you would normally get while shampooing. This will take some getting used to because some users assume that stripped feeling means clean hair. In the long run, many users feel their hair is much softer and less dry when using a sulfate-free shampoo. Generally these products are more expensive but the move to produce more products that are green is on the rise which could possibly drop the prices. So is sulfate-free better than regular? My opininon is yes! There is such a wide variety for every hair type so why not take a step towards healthier hair and give one a try! HAIR GLOSS, HAIR GLAZE! WE ARE SEEING THESE SPECIALS PROMOTED ALL OVER THE PLACE! SO JUST WHAT IS THIS AND DO YOU NEED IT? GLOSS GOES BY MANY TERMS, GLAZE, SHINE TREATMENT, CLEAR COAT, SHINE COAT, ETC. BUT THERE ARE JUST TWO TYPES OF GLOSS. ONE IS PERMANENT AND ONE IS A FINISHING PRODUCT. THE PERMANENT HAIR GLOSS IS A TYPE OF TRANSPARENT HAIR COLOR THAT IS APPLIED FROM ROOTS TO ENDS. IT MAY BE LEFT ON FOR 5-10 OR 20 MINUTES AND THEN RINSED AWAY. GLOSS HELPS TO PROTECT THE HAIR SHAFT AND IMPROVES HAIR SHINE WITHOUT AFFECTING IT'S COLOR (UNLESS YOU WANT COLOR ADDED). THE HAIR GLOSS ENHANCES NATURAL HAIR, GIVES LONGEVITY TO COLORED OR HIGHLIGHTED HAIR, AND HELPS IMPROVE THE LOOK OF DULL HAIR. IT'S GREAT FOR THOSE WHO SPEND ALOT OF TIME IN THE POOL SINCE IT SEALS THE CUTICLE SO IT DOESN'T ABSORD CHLORINE. THE EFFECT OF THE GLOSS CAN LAST FOR FOUR-SIX WEEKS. THE FINISHING GLOSS PRODUCTS ARE TEMPORARY AND THEIR EFECT WILL BE LOST ONCE YOU SHAMPOO YOUR HAIR. IT WILL NEED TO BE REAPPLIED AFTER YOU STYLING IS COMPLETE. HAIR GLOSS CAN BE USED ON ALL HAIR TYPES. IF YOUR LOCKS ARE DRY AND LIFELESS, ESPECIALLY AFTER A SUMMER IN OUR HOT FLORIDA RAYS & THE SWIMMING POOL, A GLOSS TREATMENT WILL HELP RESTORE MOISTURE AND SHINE AND LEAVE YOU WITH BEAUTIFUL, MANAGABLE HAIR. I LOVE KEEPING YOU UP TO DATE ON THE LATEST HAPPENINGS AT OUR SALON & IN THE INDUSTRY!